Great as an entry level shoe, enjoy comfort and stability when lacing up in a pair of Gel Netburner Academy 8 Netball Trainers from Asics. This entry-level shoe from Asics has been designed with an updated upper, featuring a graphic with netball position names. The grippy and long lasting sole will ensure the wearer stays competitive throughout use, the lightweight build ensures easy transitions up and down the court. 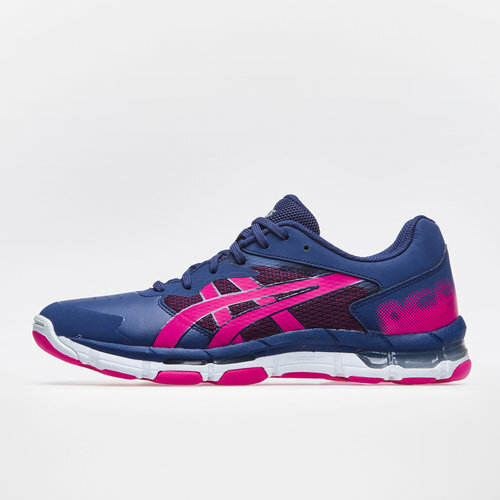 These Asics trainers come in an Indigo Blue and Pink Rave colourway.